WASHINGTON (Sputnik) - The US decision to authorize the sale of Javelin anti-tank missiles to Ukraine will seriously escalate the conflict there rather than help resolve it, analysts told Sputnik. Igor Pavlovsky, Ukraine's deputy defense minister, has confirmed that Kiev-led forces have been on an offensive in eastern Ukraine. In an interview with Radio Sputnik, Russian political analyst Sergei Sudakov asserted that these activities are linked to the new US administration coming to power. Tensions in Donbass will build up until US President-elect Donald Trump and his team come to power, Vadim Kolesnichenko, President of the International Council of the Russian Compatriots, told Radio Sputnik. US Deputy Secretary of Defense Bob Work has met with Ukrainian Deputy Prime Minister Ivanna Klympush-Tsyntsadze in Washington, DC to discuss security assistance to Kiev, the Pentagon announced in a release on Tuesday. Washington and Kiev officials confirmed on Wednesday the strategic nature of their bilateral military cooperation, the Ukrainian Defense Ministry's press service said in a statement. Foreign mercenaries carrying out operations for the Ukrainian army and the Right Sector against the fighters of the Lugansk and Donetsk People's Republics protested outside the Ukraine's migration offices in Kiev, demanding that their presence in Ukraine be made legal via citizenship or residency. 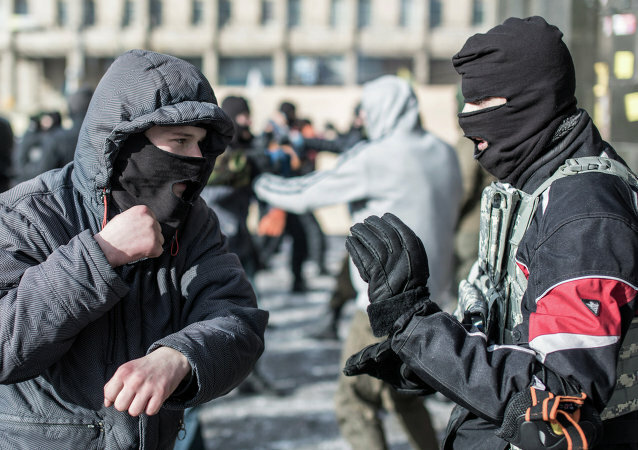 Ukraine's neo-Nazi Right Sector group may join the Ukrainian armed forces and continue taking part in the special operation in the Donbass region, the Ukrainian Defense Minister announced. Dmytro Yarosh, leader of the Right Sector Party and militant group, has officially taken a position in Ukraine's Defense Ministry as an advisor to the Chief of General Staff, a press release from Ukraine's Ministry of Defense has confirmed. 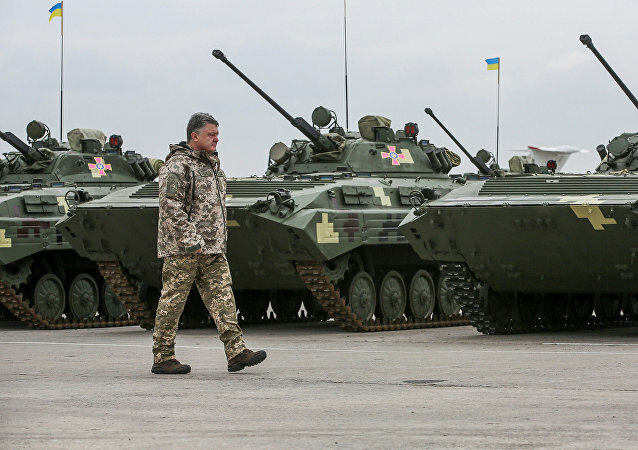 Russian Defense Ministry said that representatives of the Armed Forces of Ukraine will inspect part of Russia's southern Rostov Region, which borders Ukraine. The self-proclaimed Donetsk People's Republic's militia members have claimed downing the Ukrainian army's aircraft.